Forged deep in a crucible of earth and brought toward the surface in a river of magma, diamonds are the hardest known naturally occurring substance. Their scarcity creates value and value often leads to conflict. With a pinch of impurities, "doped diamonds" will likely become the semiconductors of the future. Men kill and die for diamonds in some of the poorest countries in the world in order to reap a sliver of the $80 billion-a-year diamond industry. And while it might be true that “diamonds are forever,” the current diamond industry most likely is not as advances in nanotechnology, the applied science of arranging matter at the molecular level, will make diamonds abundant, dirt-cheap, and hardly worth dying for. “Indeed, just as we named the Stone Age, the Bronze Age, and the Steel Age after the materials that humans could make, we might call the new technological epoch we are entering the Diamond Age,” wrote Ralph C. Merkle in an article published in a 1997 edition of Technology Review. A research scientist at Xerox’s Palo Alto Research Center (PARC) at the time, Merkle was referring to the potential of advances in the field of nanotechnology to lead to the ability to mechanically (and deliberately) manipulate carbon atoms to create real diamonds like the ones that took millions of years to crystallize 100 miles beneath the earth’s surface. “The properties of materials depend on how their atoms are arranged,” Merkle wrote. “Rearrange the atoms in coal and you get diamonds...We rearrange the atoms in sand, for example, add a pinch of impurities, and we produce computer chips.” According to Merkle, diamond is an excellent electronic material that outperforms silicon. Electrons can move faster in diamond, and diamond dissipates heat better than silicon. Heat is the enemy of computer chips and their performance is limited by the need to dissipate the heat that builds up in the circuitry. 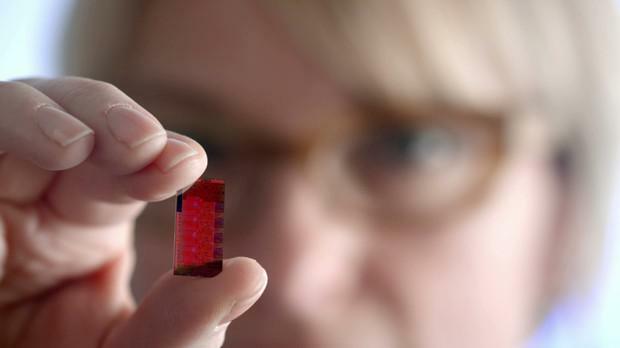 With a pinch of impurities, “doped” diamonds will likely become the semiconductors of the future. This combined with advances in spintronics, an advanced form of electronics, could lead to quantum computing, which utilizes the quantum properties of subatomic particles (such as electrons) to represent and structured data as well as perform computation. Spintronics utilizes both the electrical charge of electrons as well as a quantum property called “spin”, which makes electrons act like very tiny bar magnets. Currently, all electronics exploit one property of an electron: its negative charge. Charge is what makes current flow. In the case of computers, electron charge is also used to encode data. The charge state of an electron is either “off” or “on”. Data in a computer is encoded in binary, which consists of only two digits: 0 (“off”) and 1 (“on”). Unique combinations of 0s and 1s are grouped together in bits. Eight bits form a byte and 1,048,576 bytes form a megabyte. Everything gets bigger from there: gigabytes, terabytes, petabytes, exabytes, zettabytes and yottabytes. These are huge numbers. For example, an exabyte is 9.22337204 × 1018 bits, which is roughly enough data storage capacity to hold all the words ever printed throughout human history. Some encoded data resides in random-access memory (RAM), while other encoded data is stored in “non-volatile” memory, such as read-only memory (ROM) and re-writable hard disk drives. A hard disk is made of multiple platters coated with a magnetic coating that can hold magnetic impulses (i.e., charge). Bits of data are arranged in sectors along concentric tracks on a hard drive’s platters. These platters spin at very high speeds, typically 10,000 RPMs or faster. Mere nanometers above these spinning platters, read/write heads floating on a cushion of air magnetize the platter’s surface in a pattern of bits made up of 0s and 1s that represent the data in digital form. All electronic data—every text document, picture, audio and video file—is ultimately just 0s and 1s. Spintronics adds the quantum-mechanical “spin” property of electrons to the mix. An electron’s spin state adds another dimension in which to encode data. To understand spintronics, picture each electron as a tiny bar magnet with a north and south pole. Point the north pole upward, and you have “spin up”. Flip it on its head and you have “spin down”. Of course, an electron can point in any direction, making the possible number of spin states almost infinite. With spintronics, binary data isn’t just 0 and 1 any longer. It’s 0 and 1 plus the unique spin position of a given electron. Thinking about spintronics for too long makes my head spin. Fortunately, you don’t need to understand it inside-out to comprehend its potential and its implications. In the future, a diamond-based quantum computer the size of a sugar cube could utilize spintronics and other quantum mechanisms to store billions of bytes of data and process billions of instructions per second. Such a computer would be a billion times faster than today’s desktop computers. Just like their vacuum-tube predecessors, today’s silicon-based computers will eventually fade into history. But diamond-based computers might be forever, marking the final evolution in computing hardware that enables us to build a super-computer capable of storing and computing all the data in the universe at the speed of light. Scott Dewing is a technologist, teacher, and writer. He lives with his family on a low-tech farm in the State of Jefferson. President Trump imposed a new round of tariffs on $16 billion in Chinese goods on Thursday. That’s on top of $34 billion in tariffs he announced in July. But this new round of economic sanctions has caught the attention of Oregon’s high-tech chip industry. This time, several products related to semiconductor production are on the list. It particularly hits products that are used in semiconductor manufacturing equipment. The Portland area will soon be able to add diamond manufacturing to its list of local specialties. 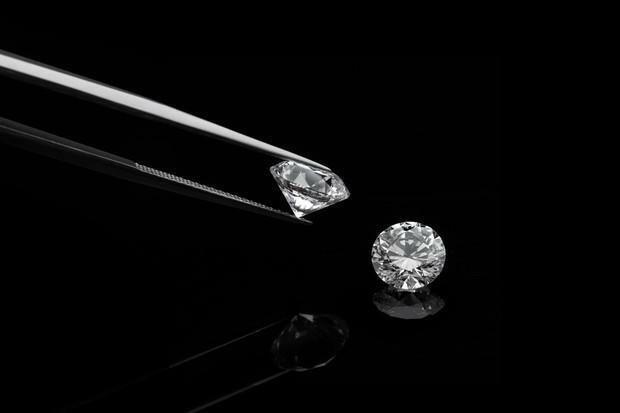 Gemstone industry giant De Beers announced a plan to begin manufacturing synthetic diamond jewelry, and that it would to open a 60,000 square foot factory in Gresham by 2020.